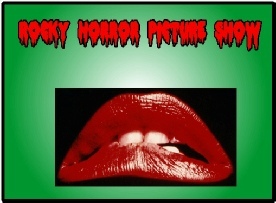 The Rocky Horror Picture Show started in London as a stage play called the Rocky Horror Show. 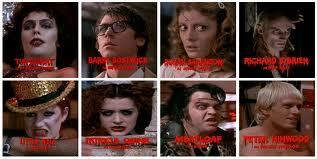 Its a musical spoof of SF and Horror movies. 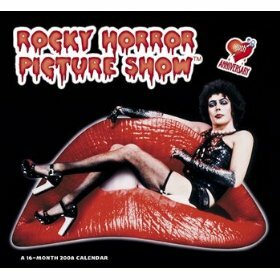 The movie which starred Tim Curry as Frank N Furter, Richard O’Brien as Riff-Raff, Susan Sarandon as Janet Weiss, Barry Bostwick as Brad Majors, Patricia Quinn as Magenta, Little Nell as Columbia and Meatloaf as Eddie, was a giant flop when it was released. It lacked the fun of the stage play - then when all was lost - there was a little magic! A theatre played it at Midnight! And was packed! Overnight this became a cult classic playing around the country at Midnight on weekends. People started talking back to the screen and history was made. Then some of the audience started performing in front of the screen and we got out Shadow cast. In West Palm Beach Florida there was the Carefree Theatre - the longest running Rocky in Florida. 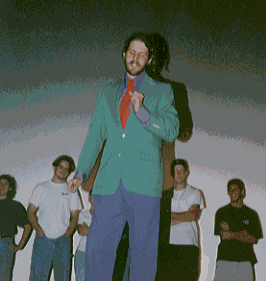 The Carefree players had a Shadow Cast that performs during the show. If you have never been to a Rocky with a Shadow Cast you owe to yourself to go see one. These are some pictures of the Carefree Shadow cast. After leaving South Florida we learned in 2002 that Rocky had ended its very long run at the Carefree and that the cast had gone looking for another theatre...Any one having information we would love to hear. We also would love to have other pictures form the Shadow cast. Just send them to floridafandom@floridafandom.com and put RHPS in the subject line.